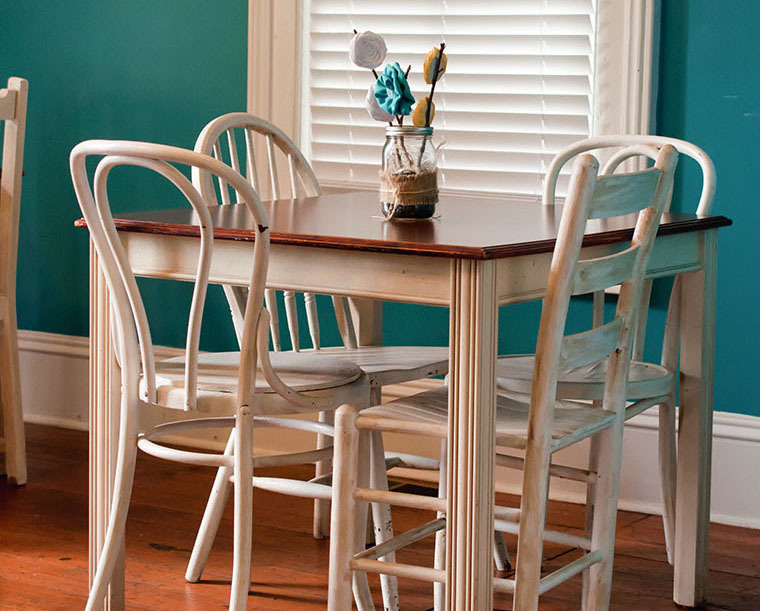 Apartment decorating can be frustrating due to the limitation’s that renters face. Since renters don’t own the apartment, they don’t have the freedom to do what they want with the space. Simple restrictions prevent renters from freely expressing themselves in the design of their home. As a renter myself, I sought out to find ways to decorate and design an apartment without disregarding the terms of a lease. I reached out to a handful of interior design professionals to gather some insight on decorating a rental and get some different apartment decorating ideas. Renters can personalize the décor of the rental and not lose their deposit with permanent changes. 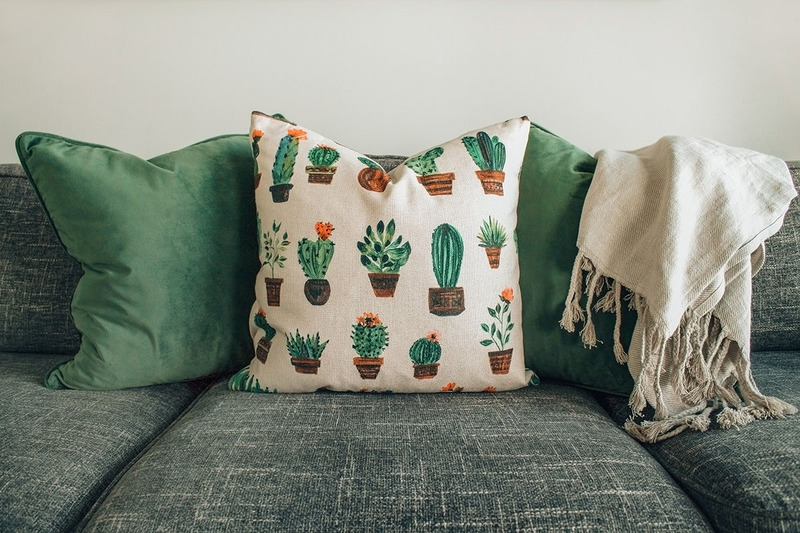 Here are a few accessories that can make a rental feel like home and can be transported to your next home. Bringing color in really brings your personality into the space and brightens up your “temp” home, yet doesn’t remind you of the borrowed walls around you. I realize lots of landlords don’t like painting, but if you bring color in through your furniture, accent pillows, coffee tables, it really takes on a space of its own. I feel like lots of times people try to crowd their spaces with big old furniture and it really just takes over the rental; not allowing it to look clean and sleek. Art can make or break a space. Again, keep it simple and pleasant! I really think art brings that touch of home. Again, clean and straightforward. A few flowers on the dining room table and a little greenery in the kitchen. I am a big fan of colorful vases but in an orderly creative setting. Introduce an accent color repeated throughout your interior that draws you through the space while adding a punch of color to create more interest against white or neutral walls. Some ways to add an accent color may include fresh flowers or fruit, pillows, throws, decor items, lamps, artwork, window treatment or area rug. Designate a focal point in each room that tells your eye where to go as you enter. A focal point can be a fireplace, fabulous view, grouping in the living room, a table in the dining room, or a bed in the bedroom. 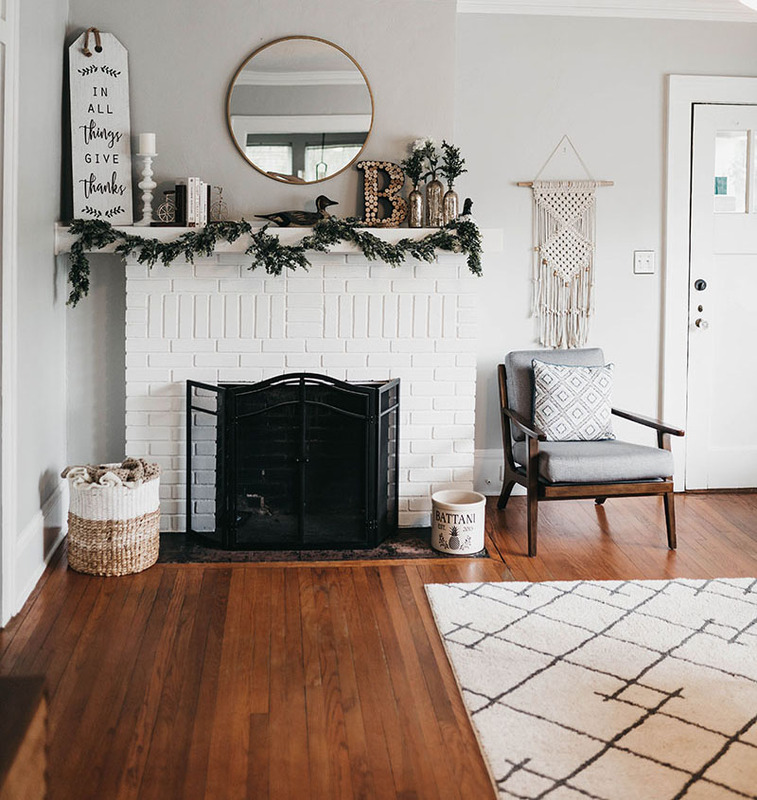 For your fireplace, you can start by layering in a beautiful piece of artwork or two over the mantel, along with a tall decor item on the hearth. You can also create the same effect as a fireplace with a table or chest. In your dining room, I recommend enhancing your table by adding fresh flowers and textural art on the wall beyond placed over a table or buffet with a lamp. Layer in area rugs in each area to delineate the space, add texture, color, and a more finished look. In the living room, the area rug creates a cozy grouping under upholstery. While in the dining room and bedroom, rugs enhance your focal point, creating a more inviting look. Choose light-colored, neutral furniture pieces to make your space feel larger. Having neutral pieces will also work better with any area, so if you move in the future you have are more likely to be able to utilize your same pieces. You can always add nice lamps to increase light and give you more control of your ambiance. 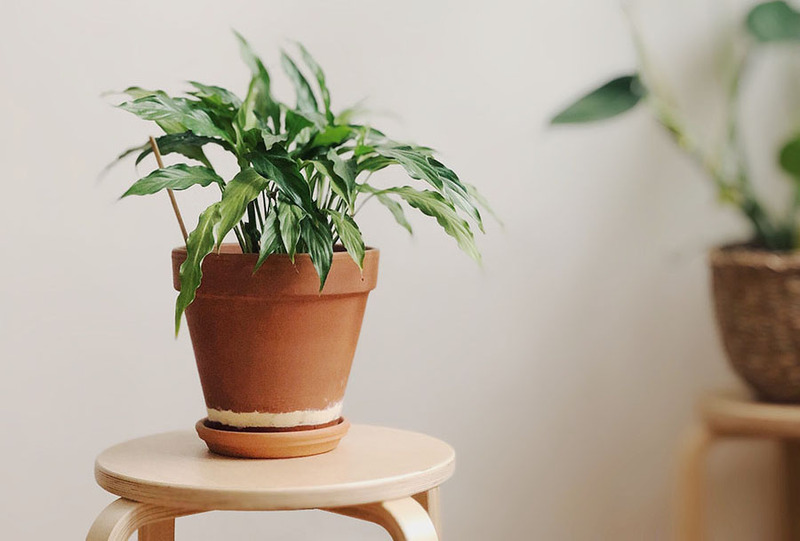 Having a little greenery can go a long way to making your area feel alive and homey. No matter where you live, there are numerous opportunities to buy local, well-priced pieces of art. If you find pieces that you love, they will make your space feel more upscale and reflect your identity and style into the room. Plus, you get to bring them with you when you move! 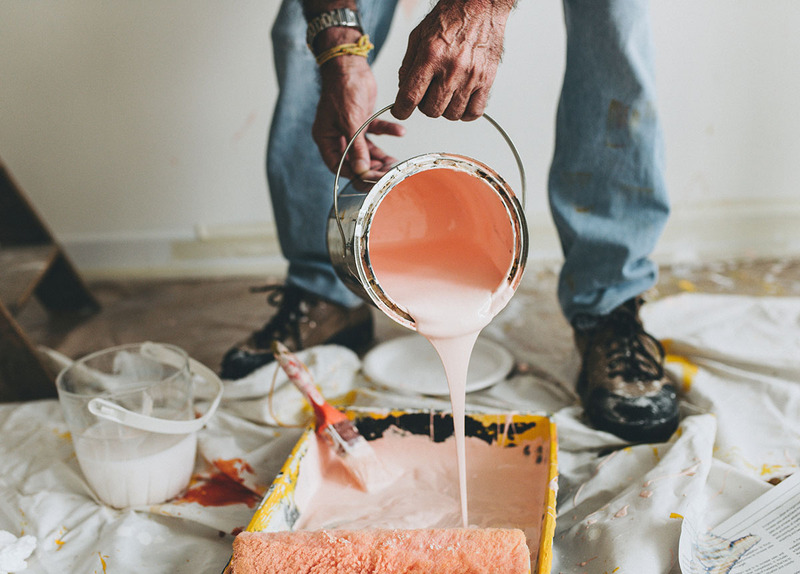 Decorating a rental property can be challenging. I think an eclectic mix of things that make your apartment your own. Bookshelves are important to make a place your own. They can be put back to back in the middle of open spaces to divide an area. They also soften the space. Lighting is essential, and torchiers or up-lighting helps to brighten a space. Lamps can be an interesting object and also brighten a room. Here’s a pretty unique and clever idea. Cover 4×8 ft foam insulation board with fabric or wallpaper. It is available at any home improvement store for under $15 a sheet. You can mount it with straight pins or mounting tape. Reduces sound from your neighbor and adds a nice designer touch. Happy decorating! Yes, you read that right. Same as removable wallpaper, companies such as ApplianceArt.com offer granite and marble look-alike removable, vinyl contact paper that you can use to cover countertops. They also carry ‘instant stainless’ to give refrigerators and dishwashers an updated, stainless look. Unfortunately renting sometimes leaves you feeling like you have no options to make a space feel like it’s your own. However, there are smart ways around this. When you want the look of a custom wall design or installation, but for a temporary period of time, you’ll have to think outside of the box a little bit. A favorite temporary wall installation of mine is using inexpensive foam core boards. These boards are easily painted, extremely lightweight, simple to cut with a utility knife and straightedge, and can be adhered to the wall by the popular 3M Command Strips or small decorative nail head push pins in each corner. By hanging these lightweight boards and covering the whole wall, you create a very interesting dimensional wall design that not only shows a ton of variation in depth, but a difference in sheen and appearance in each board. Using these versatile, inexpensive, and easy to cut foam core boards allow many design options. Cutting each board into large rectangles can create a striking subway tile pattern, or you can paint half of the boards to create a checkerboard pattern or a monochromatic ombre design. They can also be used as a backdrop to showcase those prized faux animal heads that are so popular in today’s interior designs. There you have it. A fun and inexpensive way to spruce up and create a WOW factor for a focal wall. The best part about it is when your lease is up you simply remove the boards and move them to your next space. Nothing can make a bigger statement than temporary wallpaper as an accent wall in your space. You can use it for visual interest in an awkward nook or highlight the wall behind your bed. I’m not an interior designer, but I do rent and have a wife who loves to decorate. My tip would be using your bookshelves for more than just books. I was reluctant at first, mainly because that meant some of my books were going to stay in a box, but my wife won that battle. 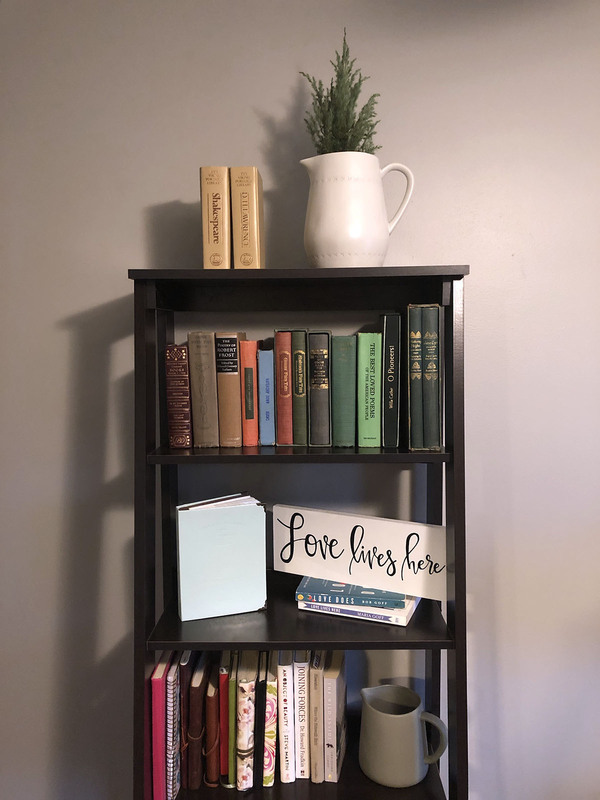 Organize your books by color and throw a couple smaller accent pieces on the shelf. In the end, my wife was right, it looks good. In my unprofessional opinion, it makes it look like you know what you are doing (even if you don’t). It’s not every day that you get free interior design tips from the experts! I’m grateful that these wonderful people took time out of their busy schedules to submit their advice. If you have any other tips, apartment decorating ideas, or have some ideas for diy apartment decor, leave them in the comments! 1Renting vs. Buying: Which is for you?